Creating a Venn diagram to reveal the differences and surprising similarities between rainforest and desert environments. Tropical rainforests are bursting with diversity and life, whereas deserts seem barren and desolate. 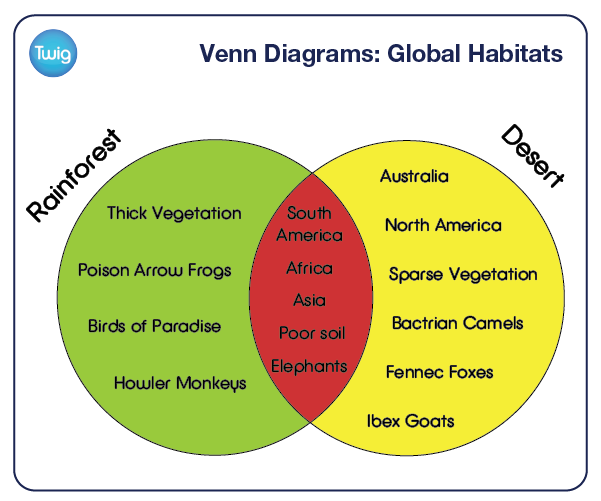 But could these two completely different habitats have characteristics in common? A simple way to compare the two is to construct a Venn diagram. A Venn diagram combines sets of data within circles. In this case, the characteristics of the two environments will be placed within their appropriate sets. The first characteristic to be compared is location. Tropical rainforests can only be found in South America, Africa, Australia and Asia. 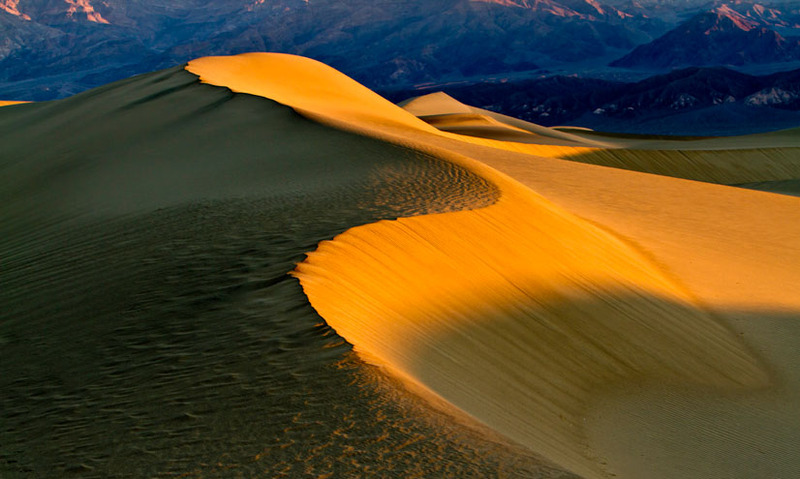 Deserts are found in these locations but also in North America. Rainforests are covered in thick vegetation whereas in deserts plant life can be very sparse. But both habitats have very poor soil. The rainforest is home to many unique species, such as the poison arrow frog, the bird of paradise, and the howler monkey. Species unique to the desert include Bactrian camels, fennec foxes and ibex goats. But both habitats are home to elephants. The relationship between data from the two environments can now be seen. Each circle contains the data appropriate to each set. The two sets together are known as the union. The areas either side are the symmetric difference, where the types of environment differ. The intersection shows the characteristics these two very different environments have in common. So whereas these two vast expanses of land are almost impossible to physically compare, their relationship can be easily mapped thanks to a simple Venn diagram.